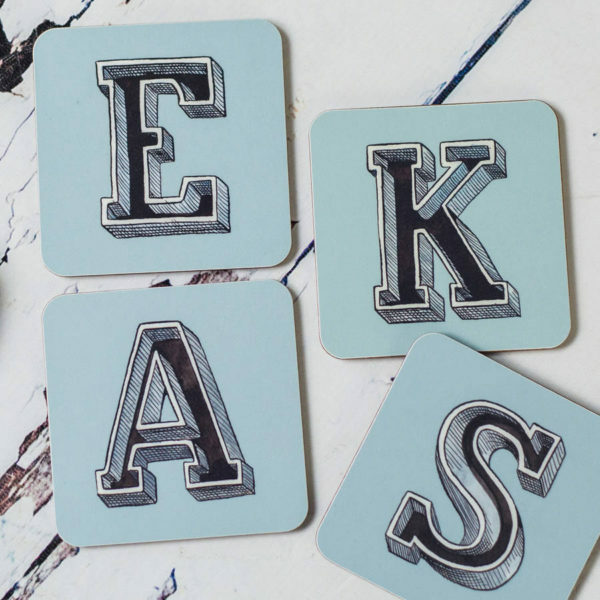 A capital idea! 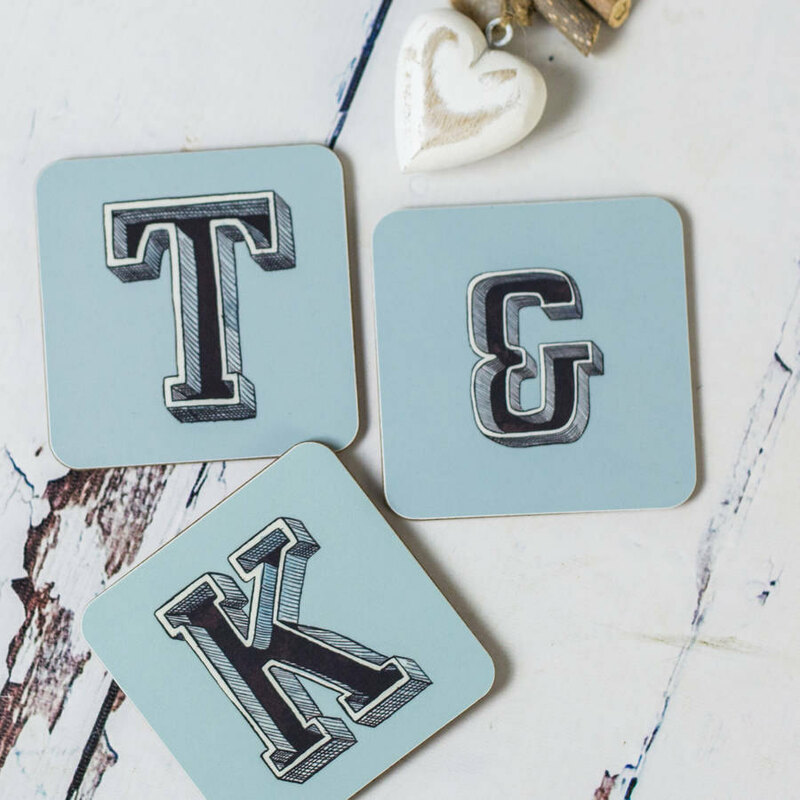 Get personal with this typographic initial capital letter cork-backed melamine coaster. 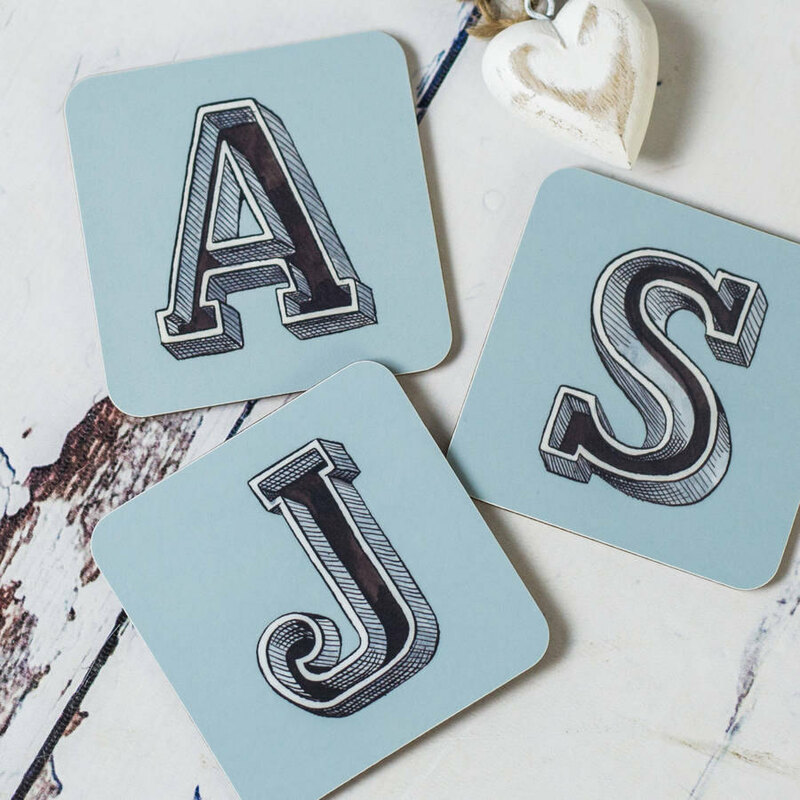 From a handsomely hand-drawn original in pen and ink, these letters are great as a one-off gift for a friend, or buy a pair for a couple so they can lay claim to their cup of tea or glass of wine. 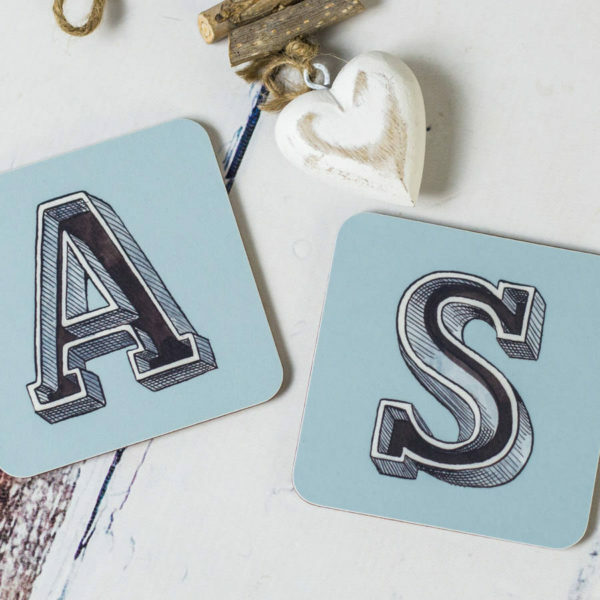 Or use as wall art and get wordier – put the family surname on the mantelpiece or kitchen shelf. 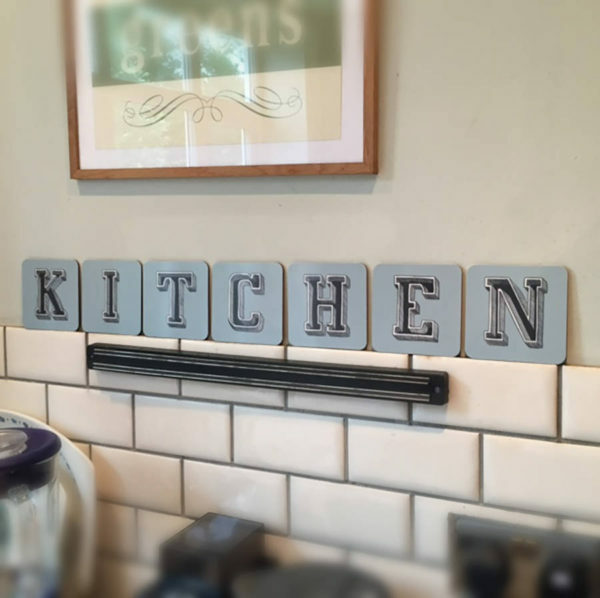 The possibilities are endless – display your love of your favourite things, such as ‘GIN’; ‘BAKE’ or much-loved phrases such as ‘ALL YOU NEED IS LOVE’ etc,. 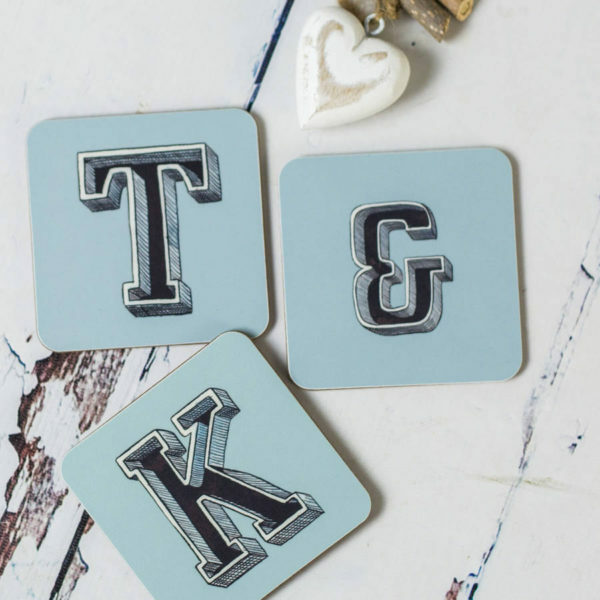 In hues of blue black and grey on a pale dove-grey background. All the (capital) letters of the alphabet are available, plus an ampersand (&). Mix and match any combination of letters you choose.